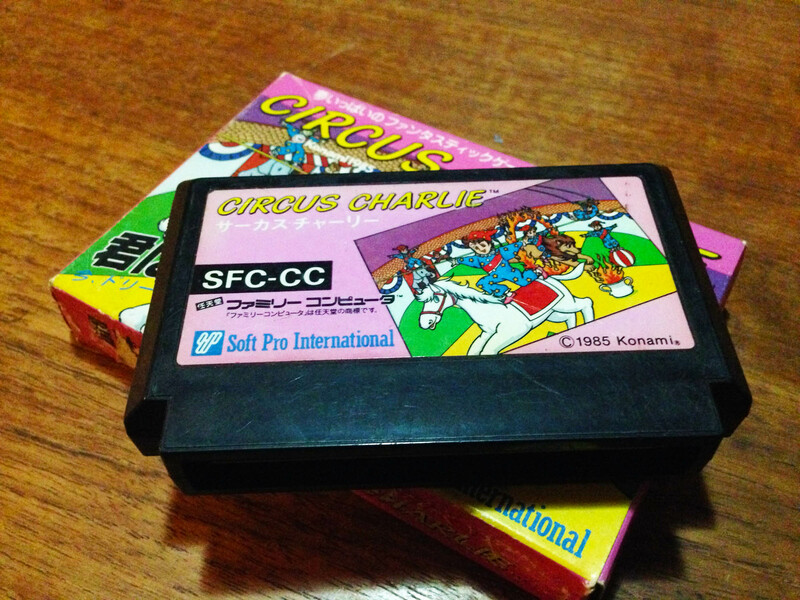 Circus Charlie (サーカスチャーリー) – Secret Konami Famicom game #2 – Nintendo Sega Japan! 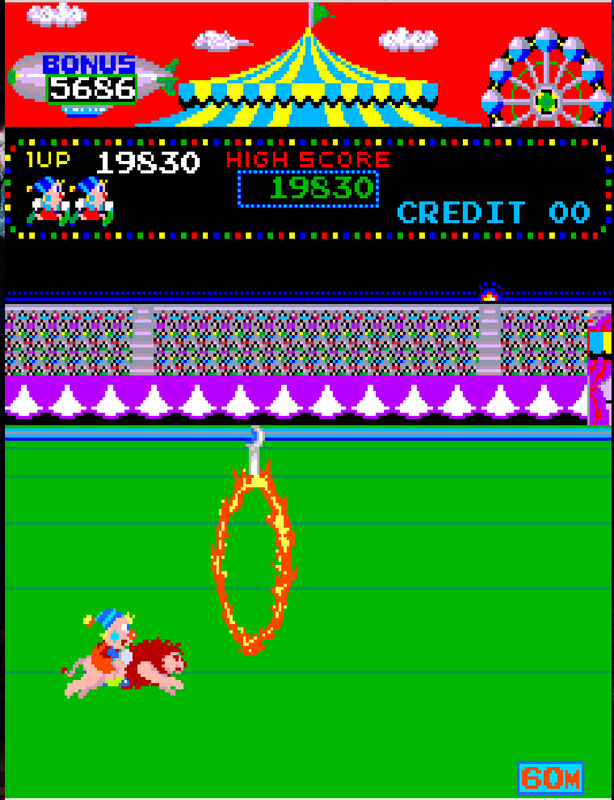 Similar to Smash Ping Pong, Circus Charlie is a Konami arcade game that was released on the Famicom, but published by another company. 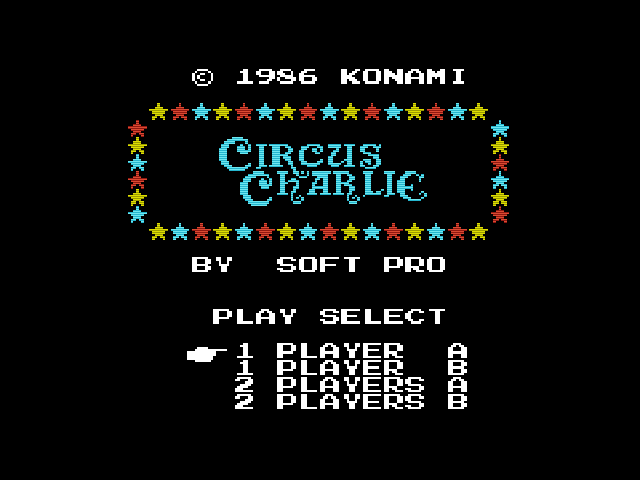 In this case the publisher is the mysterious Soft Pro International, who dropped a few 8-bit games in the 80s then disappeared. 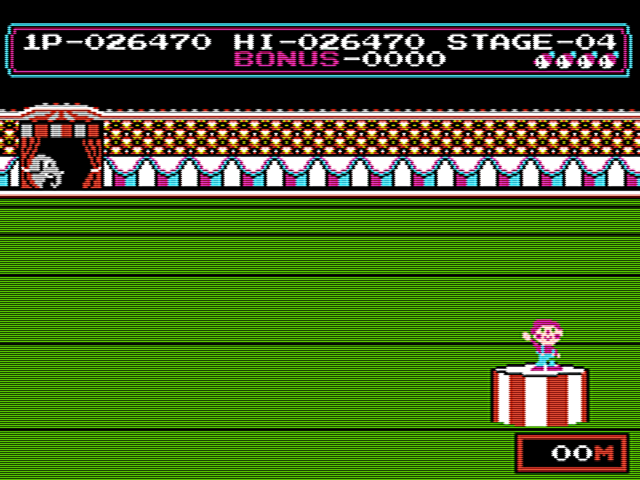 In the game you play as Charlie the clown, and must perform various stunts for the crowd over five levels. 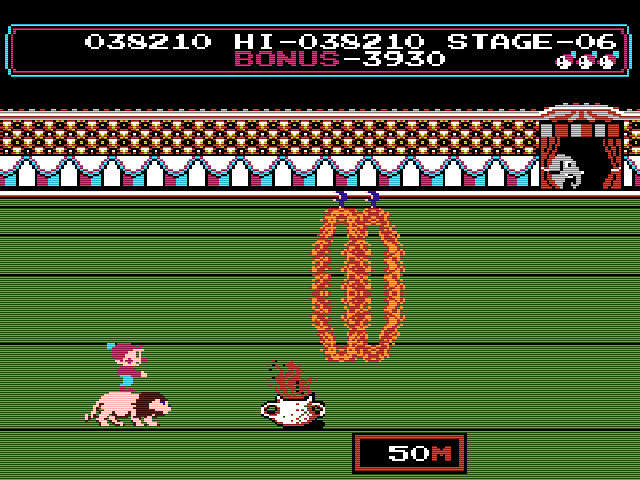 The first level has Charlie riding a lion and jumping through rings of fire. 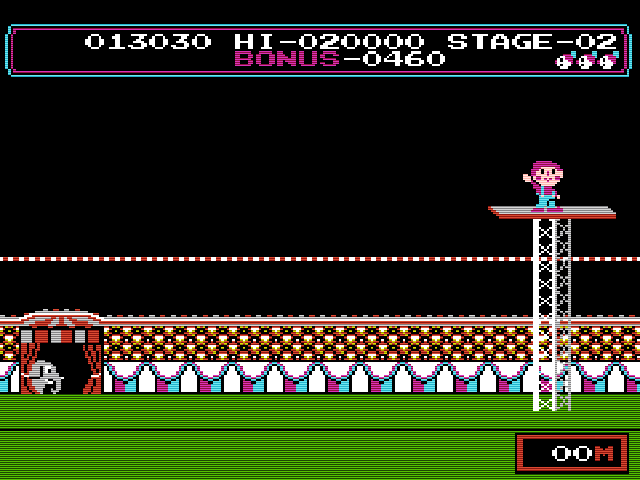 There’s also tightrope walking, trapeze, balancing balls, and a strange level where you jump onto trampolines from the back of a pony. 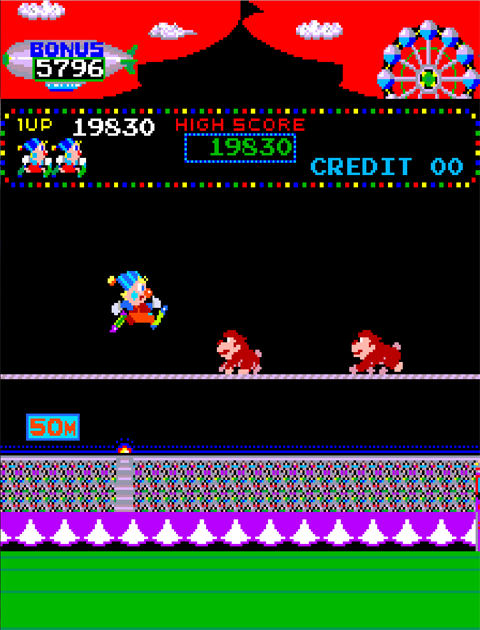 It’s very much in the early 80s arcade mould of simple, short levels which repeat after a loop, and the goal after seeing each level is simply to get the high score (think Donkey Kong). 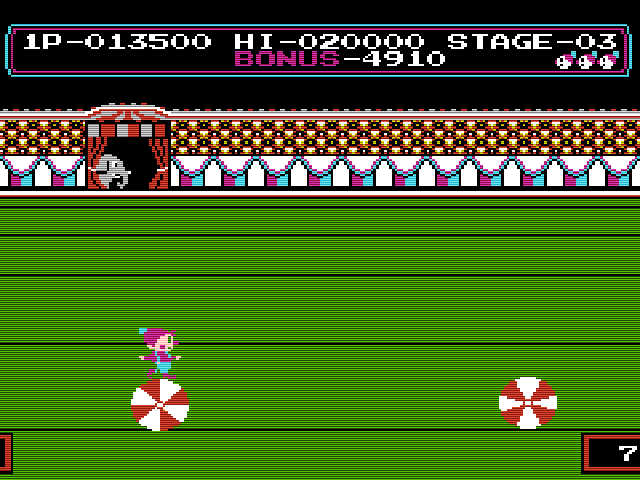 It’s a relatively faithful adaptation of the arcade game. 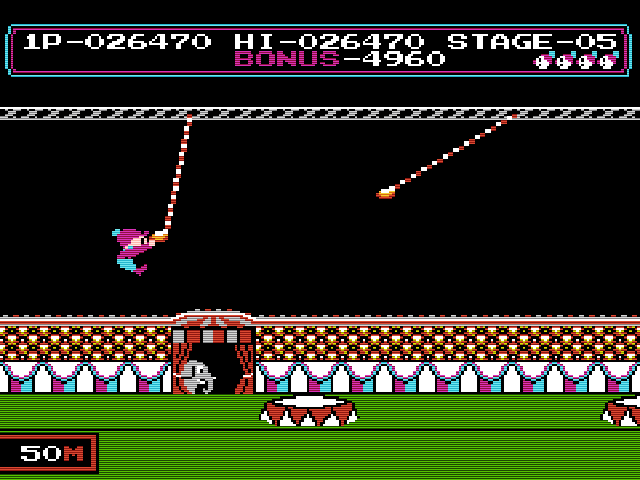 Five out of six levels are intact, and they play almost identically, despite the move from vertical to horizontal orientation. 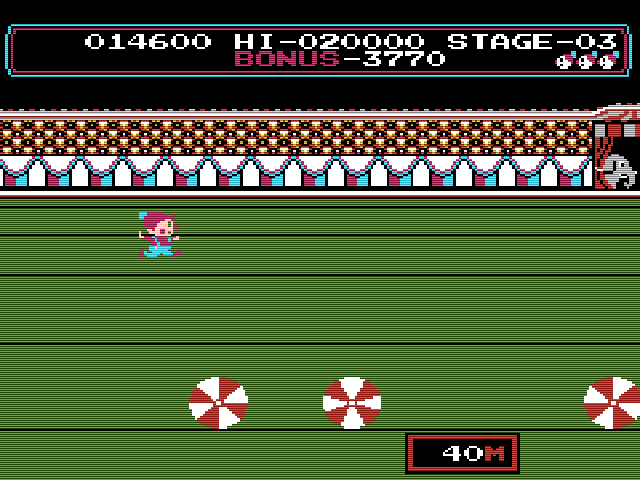 But while sound effects and music are pretty much on par, the graphics have taken a pretty big hit. 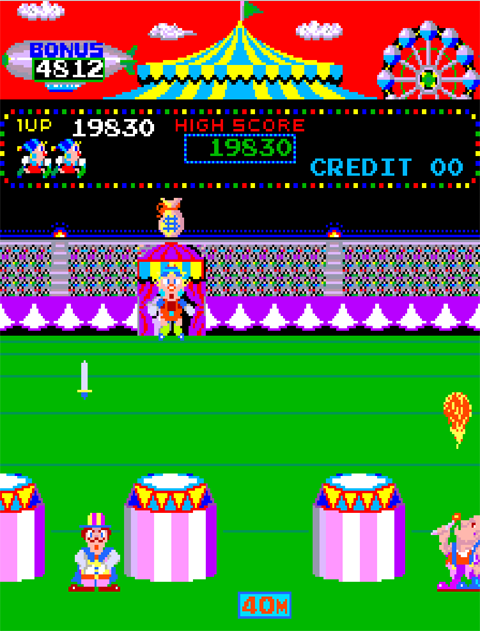 Gone are the bright, colourful tones of the arcade, replaced with a sad, drab circus right out of the Communist Bloc. 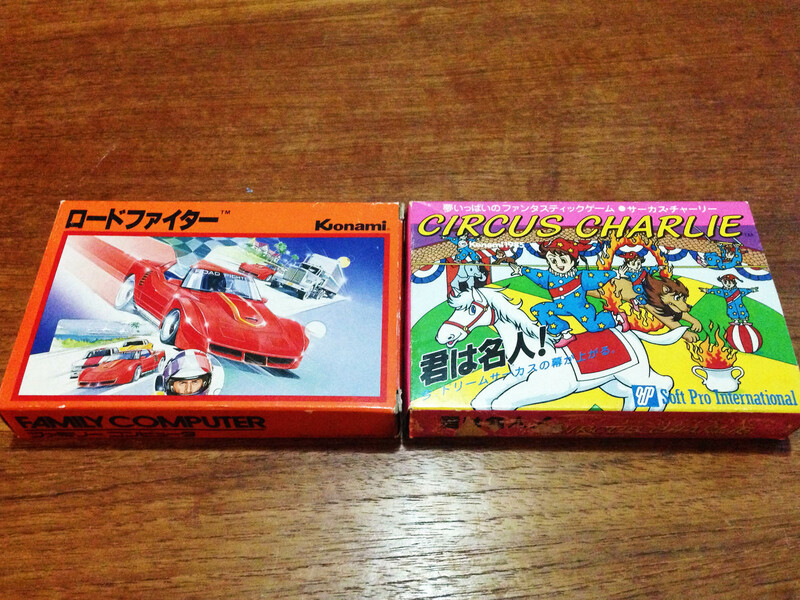 Matching the early Famicom arcade heritage gameplay and presentation, Circus Charlie comes in the original small size Famicom box, much like the first Nintendo games, and the original Konami orange package line. 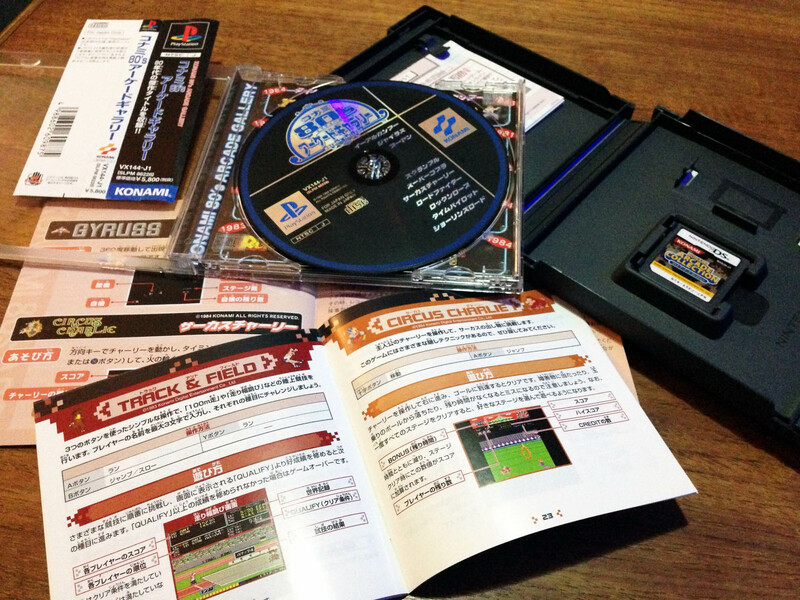 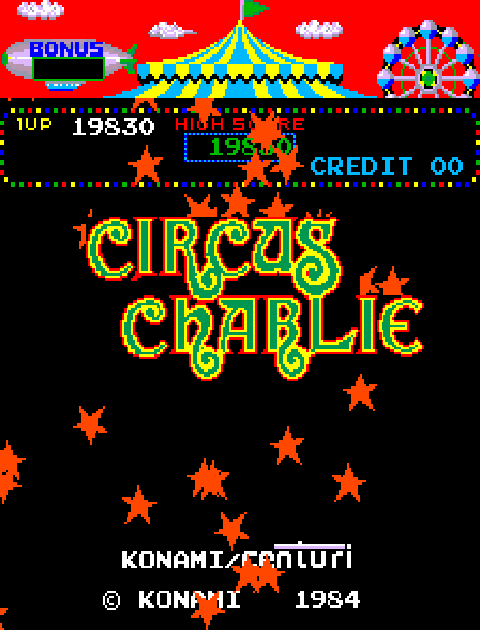 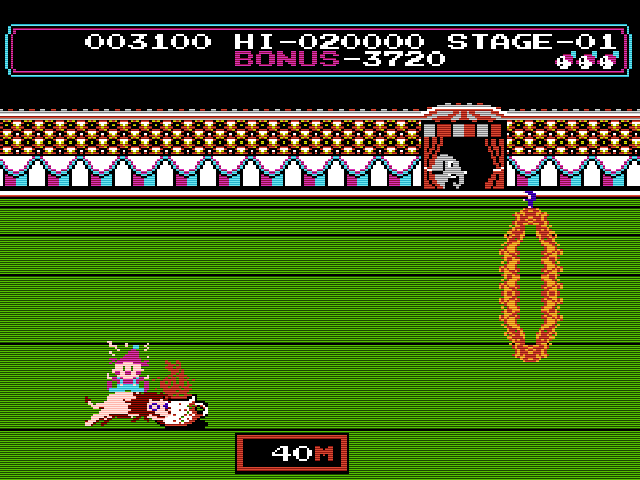 Circus Charlie was later released in original arcade form in the compilation packages Konami 80’s Arcade Gallery on the original Playstation and Konami Arcade Collection on Nintendo DS. 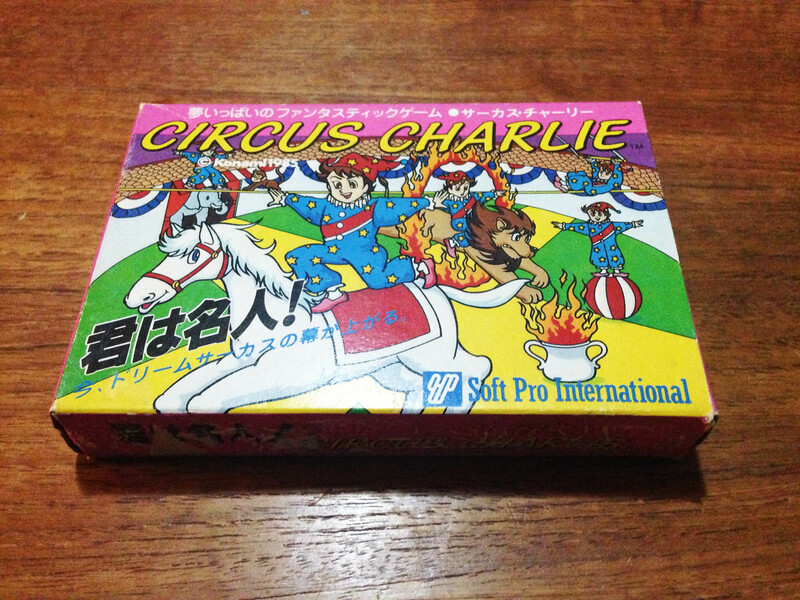 The Playstation version is pretty much the go-to if you want to experience Circus Charlie properly. 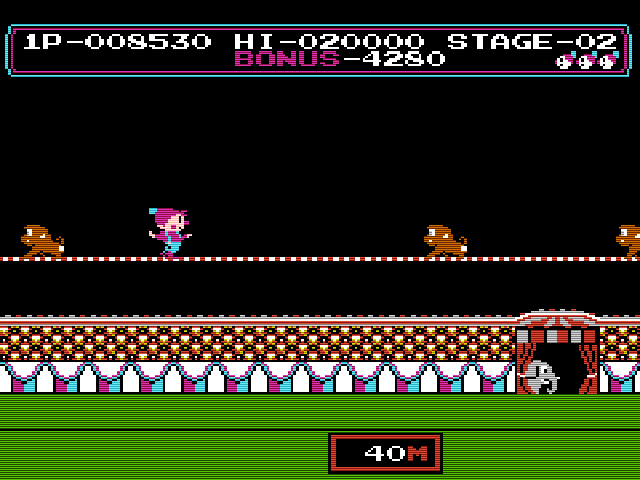 The DS version is a nice novelty but to view the game in correct vertical resolution you need to hold the DS sideways which is pretty awkward. 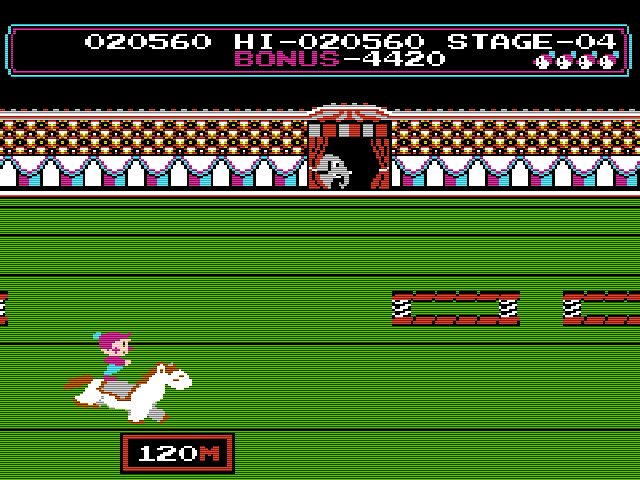 As for the Famicom release? 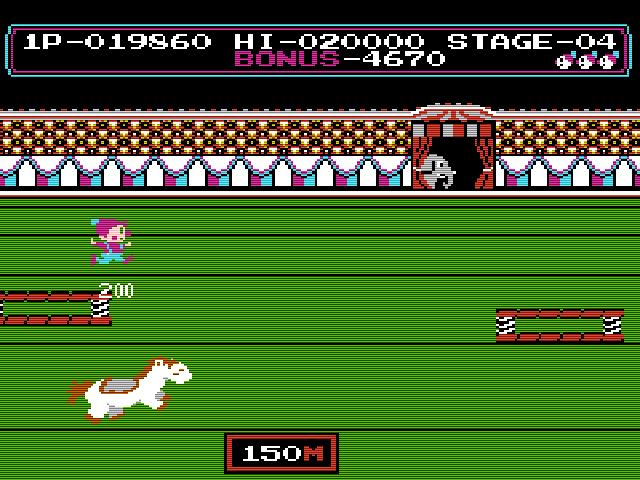 It’s still pretty fun, in that pre-Super Mario Bros arcade gameplay kind of way. 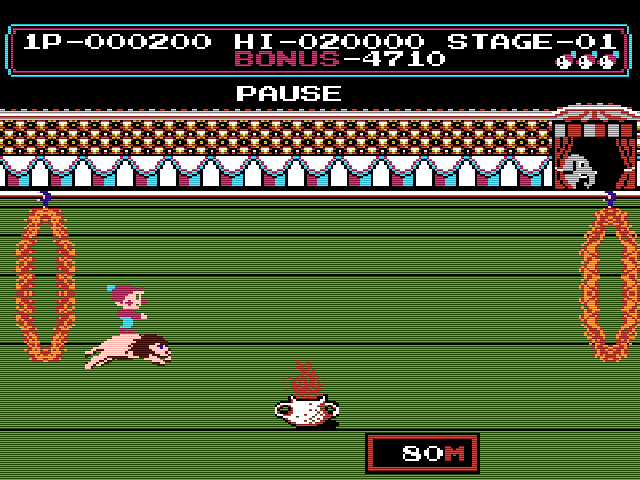 It is however extremely rare. 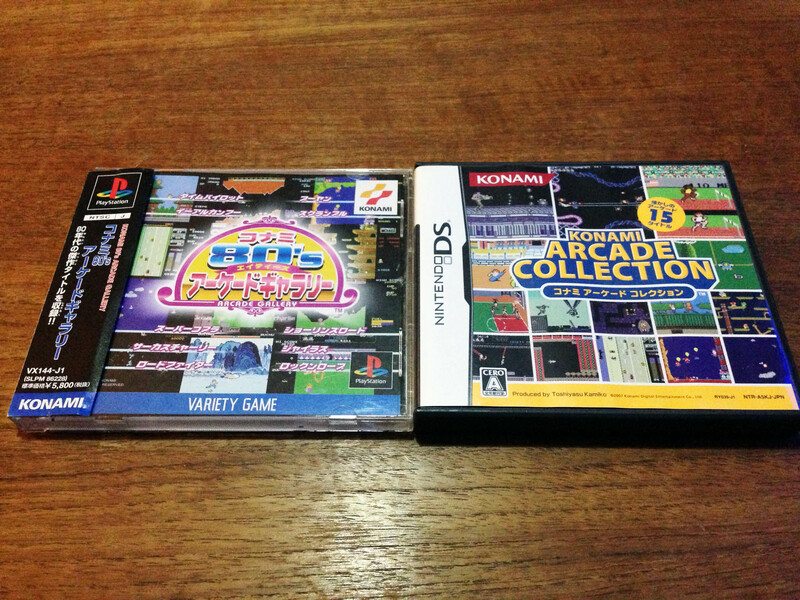 I bought the only boxed copy I have ever seen.